Lucky Pterson Monday, 26/11/2018, Ronnie Scotts, 47 Frith St, Soho, London 020 7439 0747. Click here for more info. Lucky Pterson Tuesday, 27/11/2018, Ronnie Scotts, 47 Frith St, Soho, London 020 7439 0747. Click here for more info. Lucky Pterson Wednesday, 28/11/2018, Ronnie Scotts, 47 Frith St, Soho, London 020 7439 0747. Click here for more info. Lucky Peterson & The Organization Saturday, 23/03/2019, Wilfrid Noyce Centre, Godalming, Surrey . Click here for more info. Lucky Peterson & The Organization Sunday, 24/03/2019, Jazz & Blues Festival, Anson Rooms, Bristol . Click here for more info. Lucky Peterson & The Organization Monday, 25/03/2019, Norwich Arts Centre, St Benedicts St, Norfolk . Click here for more info. Lucky Peterson Friday, 16/08/2019, Swing Festival, Westpelaar, Belgium . Click here for more info. Lucky Peterson Monday, 19/08/2019, The Live Room, Saltaire, Yorkshire . Click here for more info. Lucky Peterson Tuesday, 20/08/2019, Band on the Wall, 25 Swann St, Manchester . Click here for more info. Lucky Peterson Wednesday, 21/08/2019, Galeri, Caernarfon, Wales . Click here for more info. Lucky Peterson Thursday, 22/08/2019, Ropetackle Arts Centre, Shoreham, Sussex . Click here for more info. Lucky Peterson Friday, 23/08/2019, New Crawdaddy Club, More info to follow, Essex . Click here for more info. Lucky Peterson Saturday, 24/08/2019, Jazz Cafe, Camden, London . Click here for more info. Lucky Peterson Sunday, 25/08/2019, Jazz Festival, Rye, E. Sussex . Click here for more info. 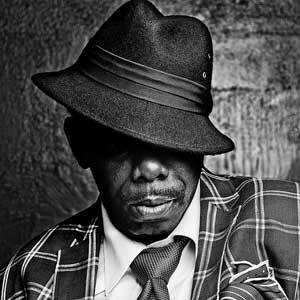 Movinmusic is taking bookings for Lucky Peterson for early August and from late August in to early September 2017. New January 2018 tour period just announced (between the 19th - 26th inclusive). Interested venue owners & promoters can contact us about his availability via e-mail or 0044 (0)1209 860067.